Carlo Margottini (Rome, January 19, 1899 - Strait of Sicily, October 12, 1940) was an Italian Captain. He served with the Italian Royal Navy (Regia Marina) during WWI and WWII. He was among the victims of the sinking of the Destroyer Artigliere. The Italian commander - Admiral Inigo Campioni - ordered a force of destroyers to Cape Bon, in case the British warships were going to Gibraltar. In Campioni's view, it was too late for the Italian battleships and cruisers to operate against the convoy. A flotilla of four destroyers and three torpedo boats were, at the same time, patrolling between 35° 45’ N and 35° 25′N, at about 3 nmi (3.5 mi; 5.6 km) apart, in full moonlight. The Italian destroyers - all Soldati-class - were the Artigliere, Camicia Nera, Aviere, and Geniere. The torpedo boats were the Spica-class Ariel, Alcione, and Airone. At 01:37, HMS Ajax was sighted by Alcione, steaming eastward, 19,600 yd (17,900 m) away on the port side. At 01:48, the three torpedo boats were closing the British cruiser at full speed. The cruiser was completely unaware of the enemy approach. At 01:57, Alcione fired two torpedoes from a range of 1,900 yd (1,700 m). Captain Banfi, commander of the Italian formation, ordered the flagship Airone to open fire on the enemy with her 3.9 in (99 mm) guns, followed by her sister ships. Three rounds hit home, two on the bridge and the third 6 ft (1.8 m) below the waterline. Ajax had realized she was under attack, and opened fire on the nearest torpedo boat - Ariel - while at full speed. Ariel was shattered by the salvos and sank 20 minutes later, although she may have been able to fire a torpedo. Captain Mario Ruta, his second in command, and most of the crew were killed. 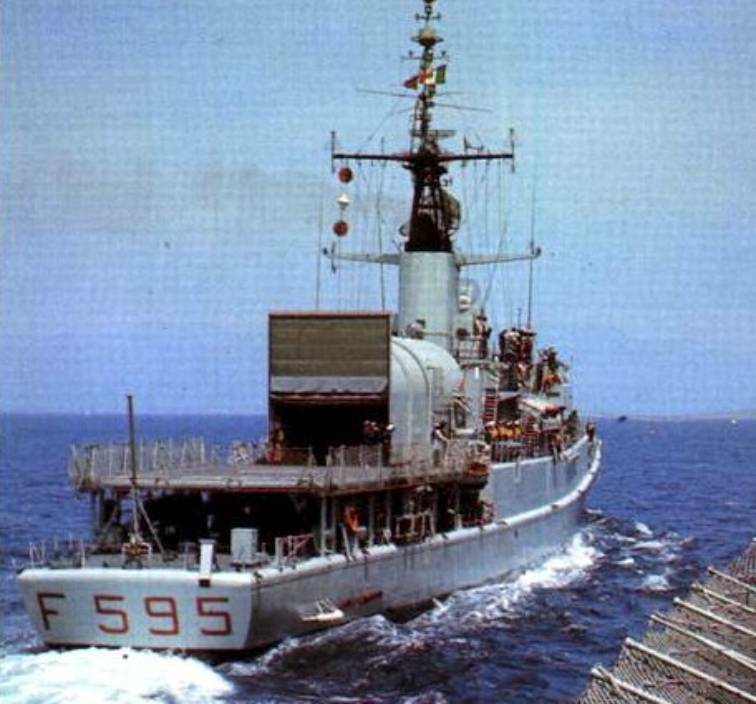 Airone was the next Italian ship to be hit. She managed to launch two torpedoes before being disabled, catching fire almost immediately, her bridge and upper deck machine-gunned by Ajax at short range. She sank a few hours later. Banfi was among the survivors. 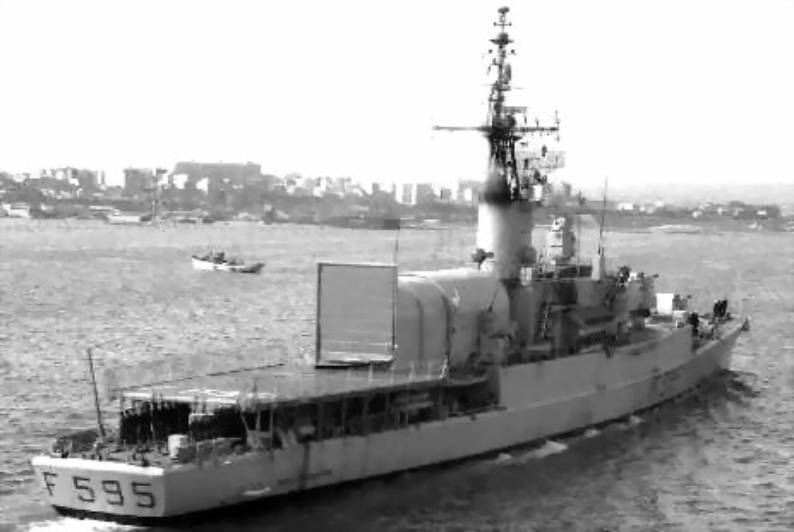 Then Alcione - the only Italian warship undamaged - broke contact at 02:03. Meanwhile, after manoeuvering during the fighting, Ajax resumed her course to the eastward. 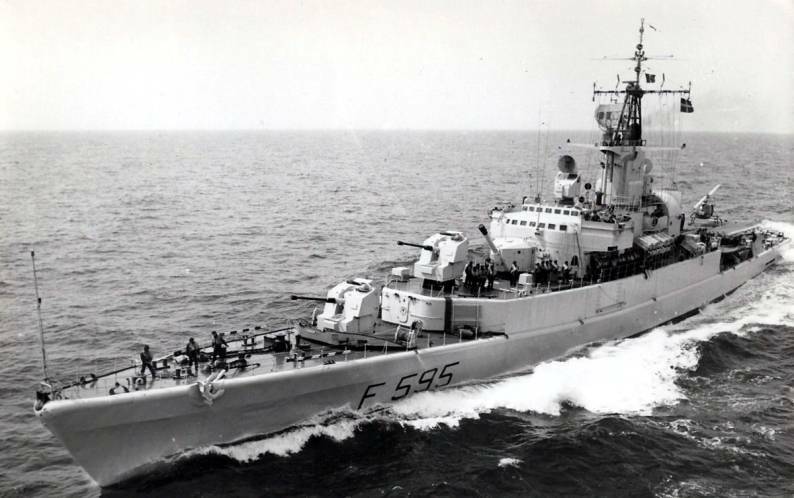 At 02:15, her fire-control radar detected two Italian destroyers, whose commander - Captain Carlo Margottini - had sighted the firing from the south. A radio malfunction had prevented Margottini from attacking in full strength, when three of his destroyers had headed north-west, instead of north as ordered. Aviere was battered by a sudden broadside from the British cruiser, forestalling a torpedo attack, and was forced to withdraw southwards, heavily damaged. Artigliere managed to fire a torpedo and four full 4.7 in (120 mm) gun salvos at 2,800 yd (2,600 m) before being hit and crippled. The torpedo missed, but four rounds struck two of Ajax’s secondary gun turrets and disabled her radar. After unsuccessfully firing at Camicia Nera, Ajax broke off the action. She had fired 490 rounds of different calibres and four torpedoes. Thirteen of her ship's company had been killed and more than 20 wounded, while the cruiser required a month of repairs before she returned to active service. The disabled Artigliere - with her commander and most staff officers killed - was taken in tow by Camicia Nera. They were surprised at first light by the cruiser HMS York, which drove off Camicia Nera before sinking Artigliere. The survivors were rescued the next day by the Italian Navy.